The project will be managed by a Consortium Board (PCB) that will take care of all important aspects of project management including financial management and reporting to EU authorities. The grant holder of the project, The University of Kragujevac, will have the leading role in reporting, and coordination of all activities and the distribution of financial resources (according to the project budget) to other partners from the consortium. On a national level the National Project Board (NPB) will be established in order to manage, monitor, evaluate all activities that will be performed on the Serbian side of the project. Project management will be focused on how the project is progressing in terms of expenditure, use of resources, implementation of activities, delivery of results and the management of risks. In order to achieve the defined goals of the project, the project team will systematically collect, analyze and use relevant information about project progress. Regular reviews will provide an opportunity to reflect on progress, agree on the content of progress reports and the follow-up action required. Intensive communication is a critical factor in efficient and effective leadership. 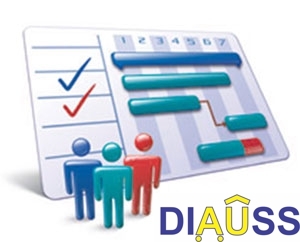 The project management structure will be defined and organized on 2 separate levels with intensive and defined connections and interfaces between these two levels in order to achieve proper project management. The major decision-making body of the project is the Project Coordination Board (PCB). Project management will be focused on how the project is progressing in terms of expenditure, use of resources, implementation of activities, delivery of results and the management of risks. The PCB and National Project Coordination Team (NPCT) will make organizational and operational decisions. NPCT will coordinate day-to-day management with Local Managers (LM). In that way it will be possible to achieve an appropriate balance between delegation of responsibilities and maintaining overall control of project staff performance. It is obvious that the management of the project will have a matrix organizational structure appropriate for effective and efficient management. Additionally, since potential users of project results are numerous and diverse, project relevance depends on good risk management. Therefore, it will be important to monitor the external environment to identify whether or not the assumptions are likely to be true, what new risks may be emerging during project implementation and to take action to manage or mitigate these risks, where possible.